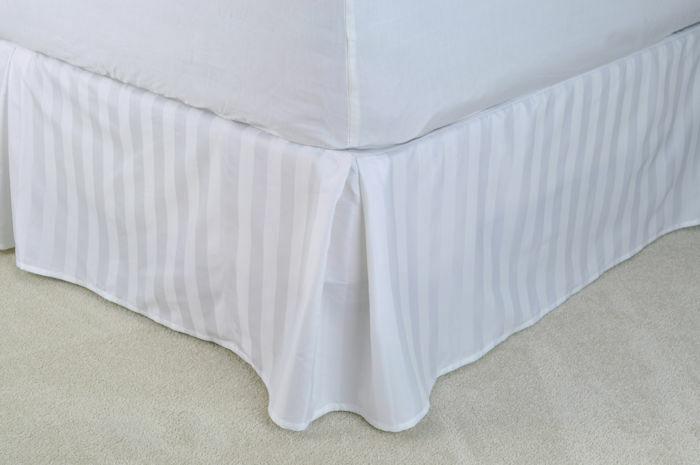 White Dobby Stripe Bed Skirts featuring a low-wrinkle T-250 cotton / polyester blended fabric for fast and easy bed setups. 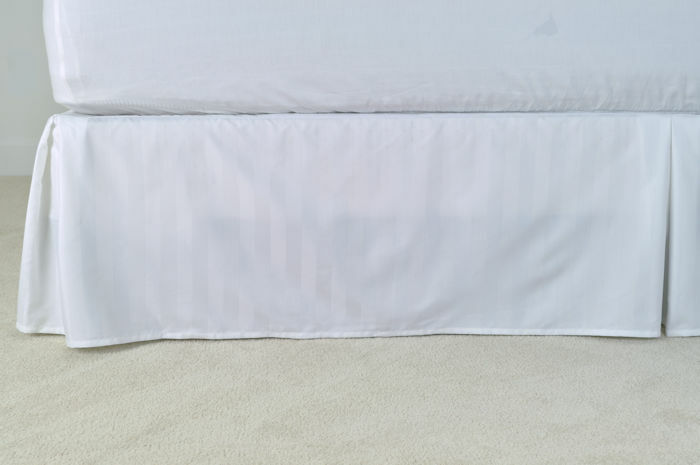 The subtle Tone-on-Tone white stripe bed skirts have a 15" drop that is tailored with center and corner pleats for added elegance. The low-wrinkle cotton / polyester dobby stripe fabric is paired with a 100% polyester platform for a durable, easy to maintain bed skirt option that launders wonderfully and is fast drying for time and energy savings. 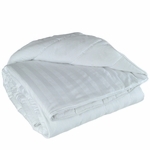 Available in sizes to fit Twin, Queen and King beds. 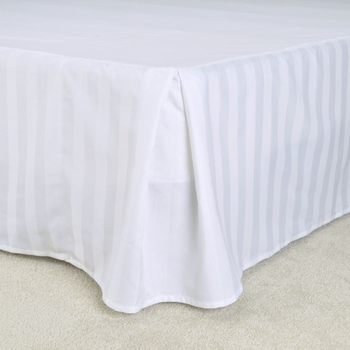 Purchase T250 white Dobby Stripe Bed-Skirts wholesale by the case with Free Shipping on all orders. 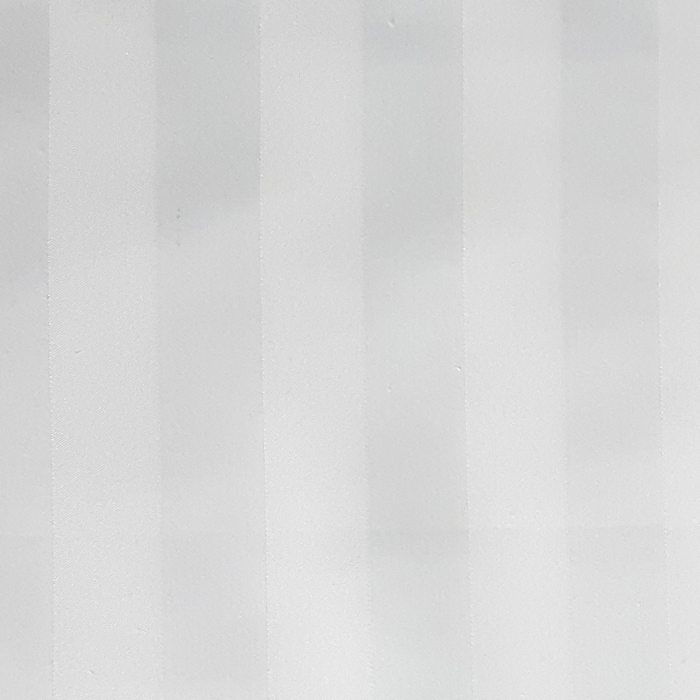 Elegant Dobby Stripe Pattern: Satin Stripe - 27 mm wide white tone-on-tone dobby stripe weave. 250 Thread Count Fabric: Low-Wrinkle 70% Polyester / 30% Cotton Blend. Durable Platform: 100% polyester fabric. Mercerized for a high gloss appearance and to further strengthen the fabric.